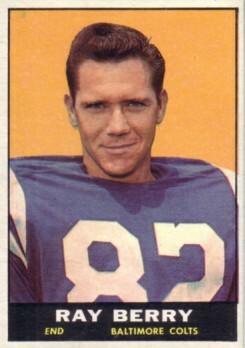 1961 Topps card of Baltimore Colts Hall of Fame tight end Raymond (Ray) Berry. Appears NrMt at first glance but left edge was trimmed. ONLY ONE AVAILABLE FOR SALE.